Transcom houses 30,000 customer experience specialists in 70 contact centers across 27 countries and services over 400 international brands in various industry verticals. To be able to deliver its lifeblood of providing outstanding customer experience, Transcom needed quality headsets that feature optimum clarity, comfort and durability equipped with maximum noise reduction features. Transcom is a global solution provider of customer care, sales, technical support and credit management services delivered through its extensive network of contact centers and work-at-home agents. Transcom’s clients are spread across Europe, the Americas, Asia and North Africa. To be well-equipped with tools to support customer and to be able to adapt across different cultural and regulatory context of customer marketplaces they serve is a key business competency for Transcom. In the Philippines, Transcom started its operations in 2004 with just 40 employees involved in back-office work for a local client. Today, Transcom operates in three different areas of the region including Metro Manila, Bacolod City and Iloilo City; with four office locations with a capacity of over 10,000 seats. They provide services for key industry verticals - mainly telecommunications, financial services, healthcare, retail, Information Technology (IT), and the government - to customers in the U.S., Canada, U.K.,Australia, and the Philippines. Many of Transcom’s clients demand a high level of quality customer experience services to help them drive and achieve cost effective bottom-lines for their business. 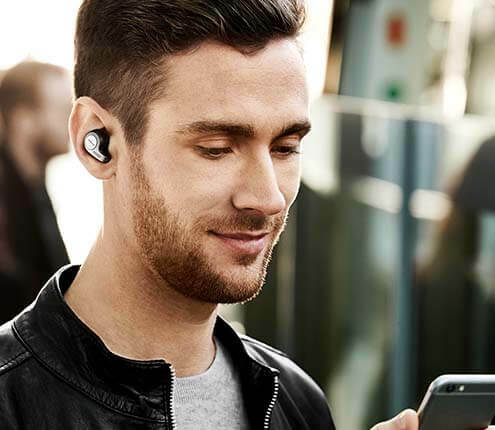 “Jabra has always been at the forefront of headset solutions for contact centers, bearing the essential elements of comfort, excellent sound and durability, and a diverse line of headset designs that would fit various work environments,” Siva adds. Prior to using Jabra, Transcom used several other headset brands but these did not meet their requirements especially when tested within the rigorous and round-the-clock Call Center environment and operations. “Our site in Bacolod is built with a high ceiling, so tendencies of echoing became evident. Unfortunately our old headsets did not perform well under those conditions. Then we got Jabra headsets, and its noise-cancelation and comfort features worked excellently,” Subramaniam shared. Today about 70% of Transcom agents are using Jabra headsets. 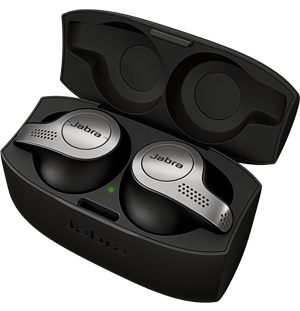 Subramaniam said that while they had minor challenges with the product, Jabra took the time and effort to understand what the problems were and solved them. Today, Transcom agents are using Jabra GN 2025, mainly running on Cisco platforms, among others. According to Subramaniam, his call agents love and are impressed with not just the great noise-cancelation, but also the comfort, sound clarity and highly easy-to-use Jabra headsets and solutions. Transcom is in fact considering including new wireless headsets from Jabra to their system. “Our return of investment is all about our agents hearing very well and working optimally to deliver a high level of customer service. The clarity, quality, flexibility and robustness of the headset is really essential. If our headsets do not enable best customer communications, business will not be good for us,”adds Subramaniam. Using headsets that did not adapt to Transcom’s physical infrastructure resulted in poor quality of calls, which affected the agents’ work and service efficiency.